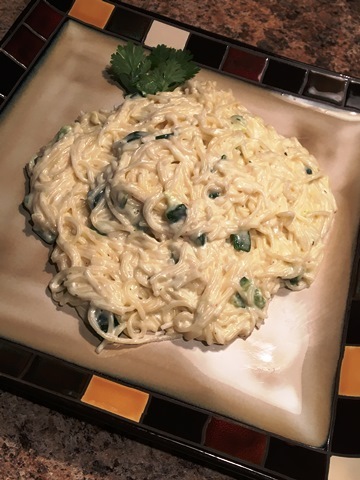 Looking for easy pasta recipes? 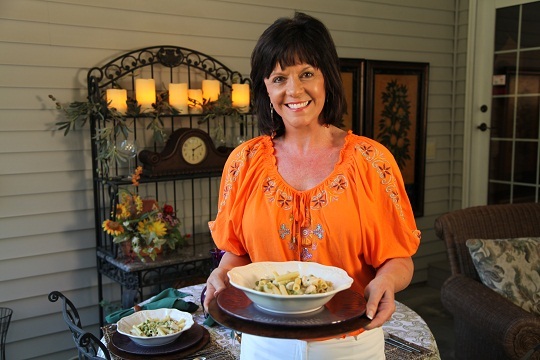 Speedy Ziti is a great summertime pasta dish! It is so quick and easy – about 15 minutes start to finish. 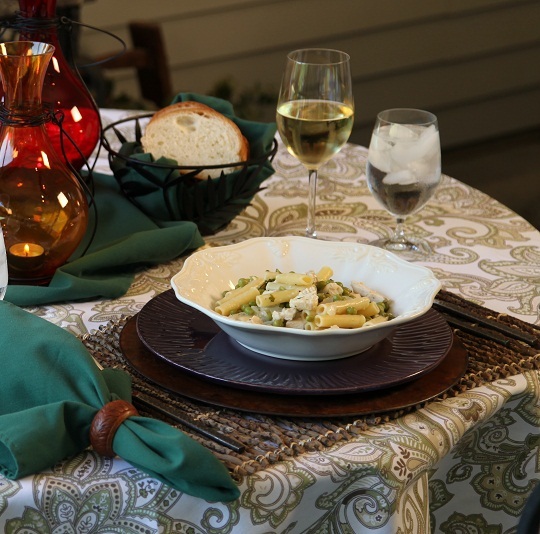 I love to serve meals outside when the weather is great and tonight I’m serving “Pasta On The Porch – Speedy Ziti”. Enjoy! While pasta is cooking, warm the butter over medium heat in a large skillet. Add onion and cook for 3 minutes. Stir in the Dijon mustard and flour. Using a whisk, very gradually whisk in the chicken broth. Bring the broth to a boil and stir in the lemon juice, peas and parsley. When pasta is done, drain it well. Toss pasta and cooked chicken with the sauce. While pasta is cooking, melt the butter or margarine over medium heat in a large skillet. Add the chopped onion and cook for 3 minutes. Stir in the Dijon mustard and flour. Using a whisk, very gradually whisk in the chicken broth. When pasta is done, drain it well. Toss pasta and cooked chicken with the sauce, season with salt and pepper and serve. Lets make life special by sharing great food with our family and friends! Speedy Ziti Pasta is a quick summertime pasta recipe. 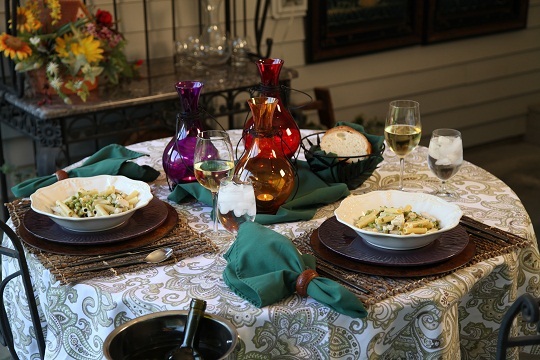 This video shows a “dinner for two” on the porch – serving Speedy Ziti Pasta.